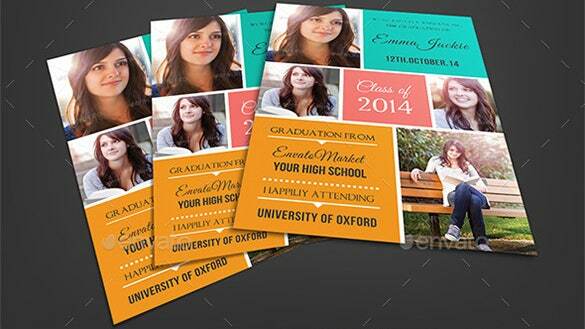 Graduation gala dinners, prom nights and ball event are renowned. 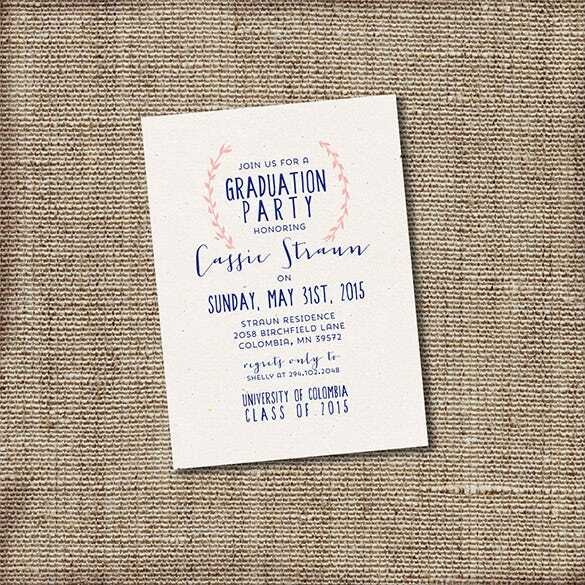 It marks a special occasion for all the students and one last chance to bask in the glory of revelry with their friends and teachers. 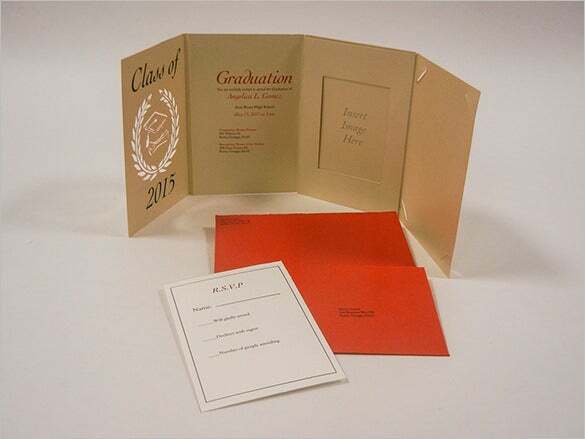 Graduation brings good luck which is why good luck card template is considered. You can easily download them online and make the required changes as deemed fit. 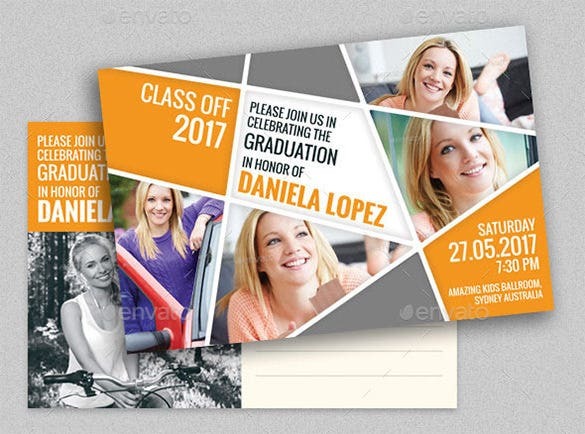 The Graduation Announcement Card Template is generally made with tools like PSD, PDF, or EPS where the name of the student, the year of passing out, university name and his / her image is printed. 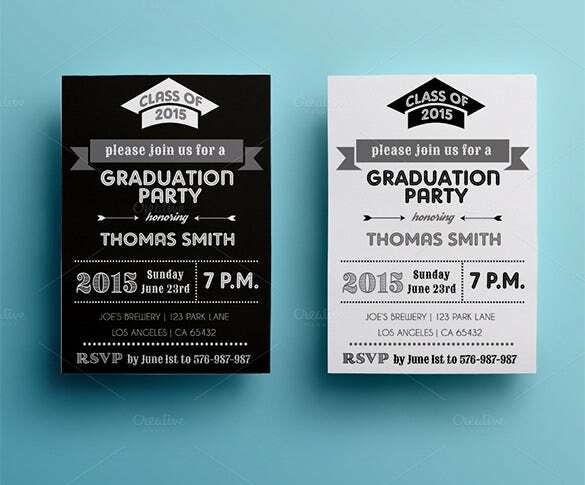 The Party Invitation Graduation Card Template can be easily be made with the InDesign or AI Format which will have the details of the venue, date, time, name of the host, and which batch it is hosting. 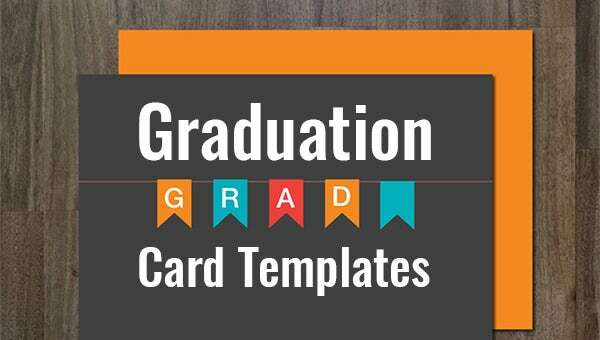 Create the layout of the Chalk Graduation Card Template Download which will have the details of the student, venue for the graduation day celebration, contact information and for whom it is organized. 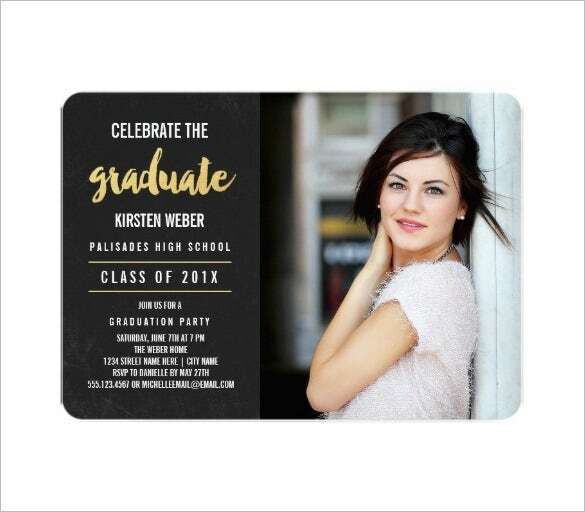 List the essential information like venue, date, time, host’s name, and a tag line (if any) on the Photo Party Invitation Graduation Card Template. 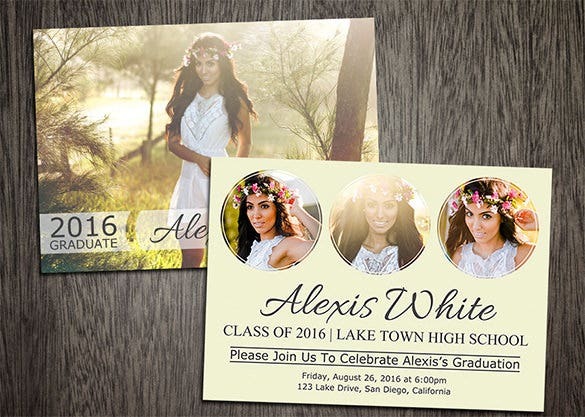 Use attractive colors and the image to make it colorful. 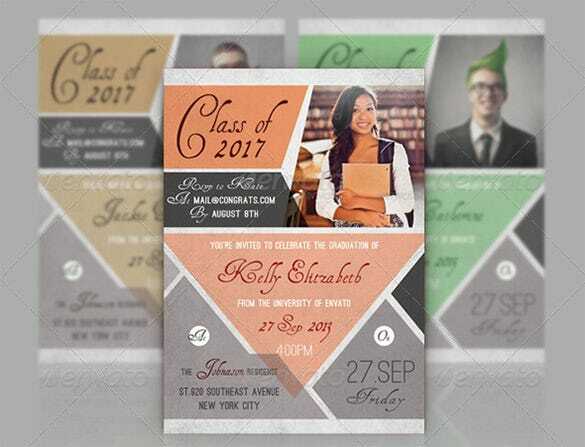 The Cheerful Graduation InDesign Template – $5 will include the colorful fonts and backgrounds over which the name, date, venue, student’s brief bio, university name will be written and is available at a reasonable rate. 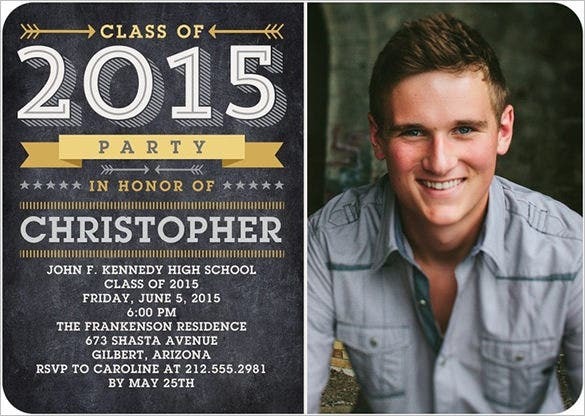 The Card Templates are readily made with messages and details of the graduation party provided in it. 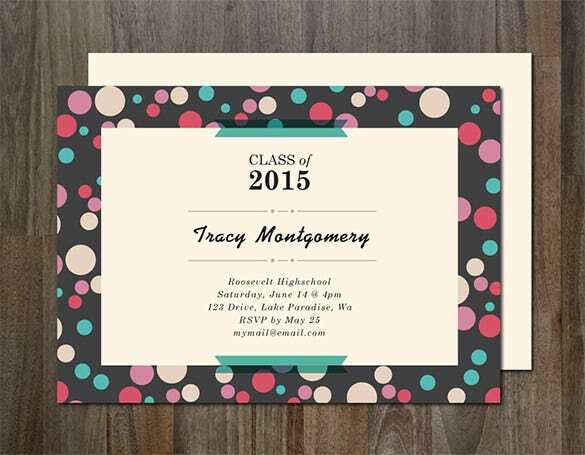 Ready-made designs can be taken quite easily from the template section from which you can customize it by altering the designs and font which is associated with it.